Xiamen True Mission Sanitary Products Co., Ltd.
Ultra soft and pure cotton touch, taking good care of baby's tender skin. 2. ADL layer cause the liquid to soak in quickly and reduces the rewet for keeping baby's skin dry and clean. 6. Transparent polybag/printed color/carton are available. Quanzhou Apex Hygiene Products Co., Ltd.
Hebei Ruisite Technology Co., Ltd.
Hebei Tianyi Hygiene Co., Ltd.
Quanzhou Zhengda Daily Use Commodity Co., Ltd.
Jinhua Ohbaby Infant And Child Products Co., Ltd.
Chongqing Baiya Sanitary Products Co., Ltd.
Fujian Hanhe Sanitary Products Co., Ltd.
Xiamen Hongfutai Import And Export Co., Ltd.
Jinjiang Rongxin Maternal And Child Supplies Co., Ltd.
We have obtained ISO9001 and ISO14001 certificates, the certificate of free sale. Price term FOBxiamen , China Delivery 20 days after deposit received. Shipment Large cargo Transportation by sea & land; Sample shippment by express ! 3.Can be indentify the "Baron third-generation core technology" or "Baron Ecore technology" on the packing. 4.Can be indentified on the packaging the LOGO of "Baron mather & baby product R&D center" and "Made in Baron". 6.1 The Cooperation Partner Baron has cooperated with many abroad supermarket, such as Metro, Amazon, The warehouse, Walmart, Jean Coutu, etc. 6. Cute frontal tape: The cute animal picture on the frontal tape makes your baby more beautiful. 7. 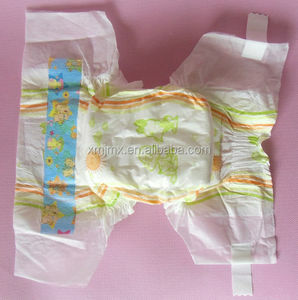 Magic tape: Protection for baby's tender skin, and improved fastening enable baby move freedom. The pictrues are Howdge baby diapers and freemore sanitary napkins in the supermarket in Middle East countries and Africa. 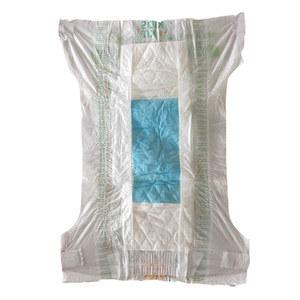 ultra-soft and instant absorption baby diaper 1.Thinner Absorbent Area , : Special designed construction add 50% SAP more than before ,keep thin after fast absorbency and give baby an experience of sweet night . 2.Millipore Breathable Back-sheet : Evacuate mositure immediately and keep more dry and comfortable 3.Formfitting Design : Trim fit between the legs , avoid side-leakage effectively. 4. Wavy waist tape : Protection for baby's tender skin, and improved fastening enable baby move freedom 5. Leakage Proof : 3-D leakage prevention channel, pleat side and flat rubber keeps baby comfortable and prevents from flowing back. Ultra soft and pure cotton touch, taking good care of baby's tender skin. Our products have been sold to many countries and receive high popularity worldwide. Q:What is your payment terms 9 A: 30% TT deposit in advance and 70% balance before shipment. 5. Cute Plastic Backed tape: The cute animal picture on the frontal tape makes your baby more beautiful. The pictrues are Howdge baby diapers and freemore sanitary napkins in the supermarket in Middle East countries and Africa. Logistics Our port is Chongqing Port, located in the south west of China, we load the container in the factory by our workers. Techniques Professional in most kinds of sweater in different gauge Skilled in styles with woven inserts or special accessories, crochet, sequins, etc. Full range of decorative finishes including printing and embroideries sweaters. Specialised in making sweaters of all kinds of blend yarn, such as cashmere, wool, silk, cotton, acrylic,etc. 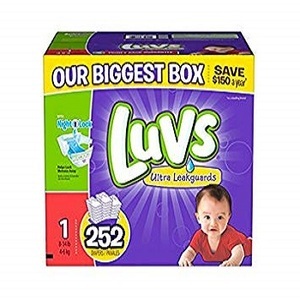 Alibaba.com offers 75 luvs diapers products. About 88% of these are baby diapers/nappies, 1% are adult diapers. A wide variety of luvs diapers options are available to you, such as cotton, fluff pulp, and non woven fabric. You can also choose from 3d leak prevention channel, leak guard. As well as from dry surface, soft breathable. And whether luvs diapers is embroidered, printed, or jacquard. 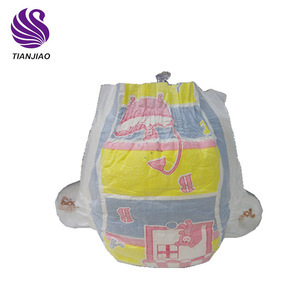 There are 57 luvs diapers suppliers, mainly located in Asia. The top supplying countries are China (Mainland), France, and Belgium, which supply 78%, 12%, and 1% of luvs diapers respectively. 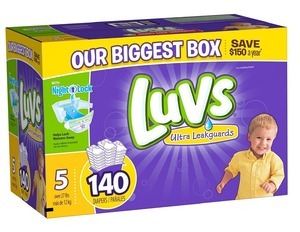 Luvs diapers products are most popular in Africa, Domestic Market, and North America. You can ensure product safety by selecting from certified suppliers, including 46 with ISO9001, 11 with Other, and 11 with BRC certification.